It’s the holidays, and if you know like I, it’s hard to get an appointment with your stylist; unless you have a “standing.” What’s a Doll to do when the invitations to holiday soirees are coming fast and furious, and the need to look fabulous is at a 10? Heck, I have four between now and Sunday! 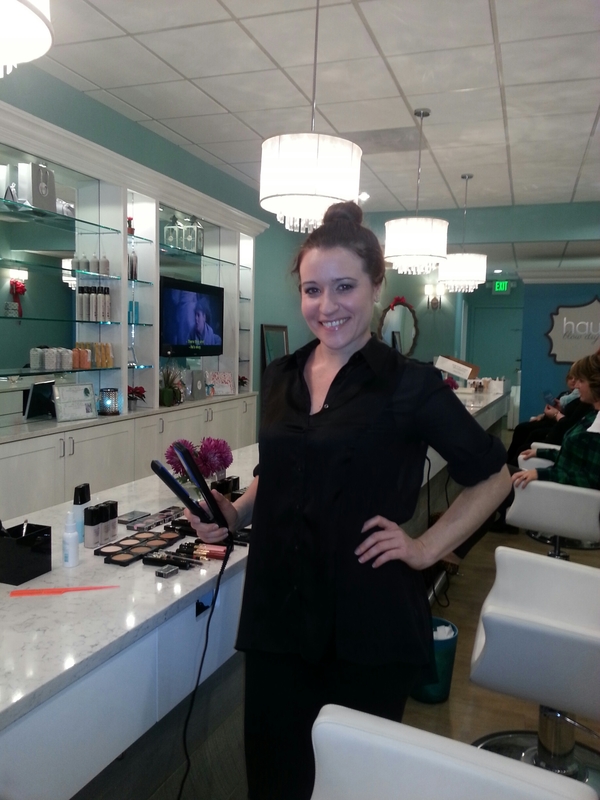 The answer, Haute Blow Dry Bar! 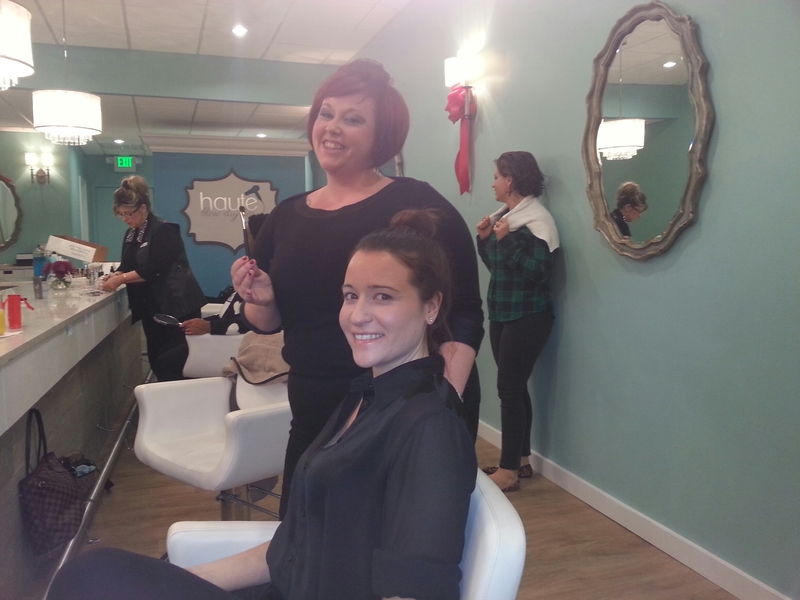 Haute Blow Dry Bar is the beauty brainchild of owner, Abi Frederick, and is exactly what it says, a blow dry bar. Haute opened in my neighborhood mid July. I drove by many times, and was intrigued by the name and the clean, minimalist aesthetic I observed through the window. Chairs at the “bar” were full, and Dolls were leaving, “bouncin’ and behavin.” Well, last week I could no longer resist. I booked the appointment on my iPad, selecting from a drop down menu of services. Within minutes a confirmation email arrived in my inbox. Love it! I arrived last Saturday at 9:00 a.m. The greeting from “bar” manager, Mimi, was uber friendly and my stylist was ready. Side bar: Mimi is an absolute ringer for the strikingly beautiful Carolyn Bessette-Kennedy. Almost eerily so. Moment of silence, she was one of my style icons. Anyhoo, I digress. There was no wait time. They offered a Mimosa, consulted with me on how I want my hair styled, and 45 minutes later it was perfectly smooth, with just the right amount of curl. No pulling from the dryer and not too much heat from the flat iron. I knew I’d be back. 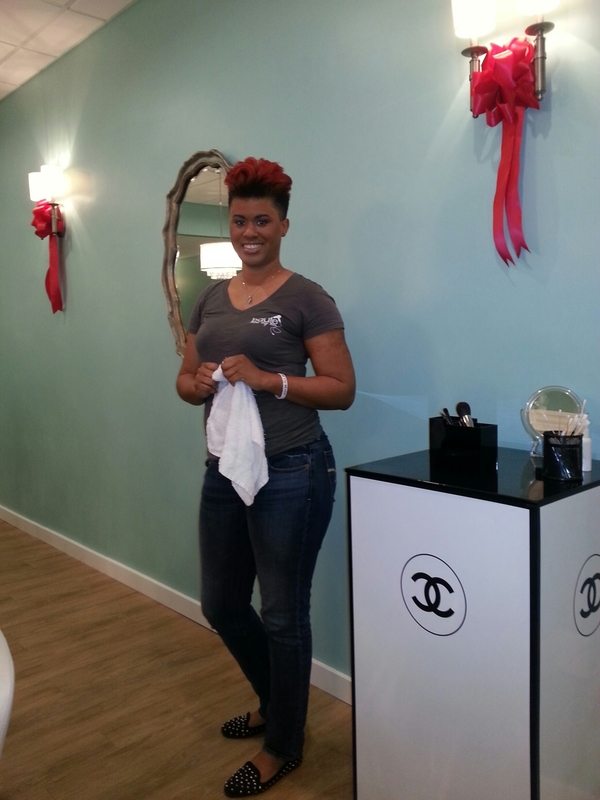 As I settled my bill, Mimi invited me back on Tuesday for an event they were hosting with Chanel and Lancôme. I made another appointment for three days later. This would be my test … Would I still love HBDB? Would I be as pleased the second time around? Again, a warm greeting from Mimi, straight back to the shampoo bowl, “Would you like a glass of champagne, red or white wine, how about a slice of pizza?” Another consult, side or middle part … loose curls? The Chanel and Lancôme artists were giving makeup tips, a little Beyoncé in the background and 45 minutes later, again, I was completely satisfied. Following my blow dry and flat iron, Patrice from Chanel gave me a fab sultry holiday smokey eye and prior to leaving I was gifted with a little bag of treats from Chanel and Lancôme. As you can see Dolls, I am sold, but must manage your expectations so that I won’t nasty grams from you. 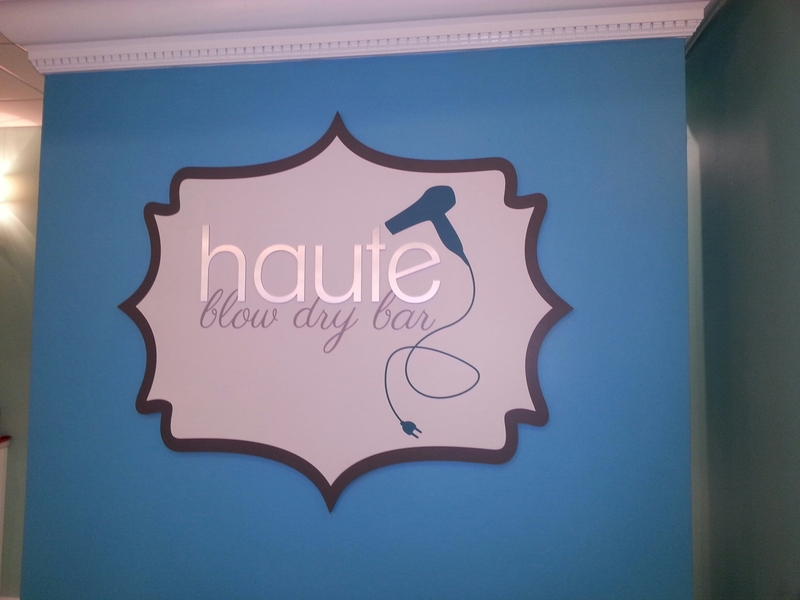 Haute Blow Dry Bar is just that, a blow dry bar. You are not going there for treatments, trims and color. But, you will be perfectly coiffed and “out the door” in no time! It’s definitely my new “go-to” for a “HAUTE,” smooth and sleek or flirty and easy-breezy style. BTW, the “bar” has purse hooks. No need to worry about where to put you tote! I love a purse hook! 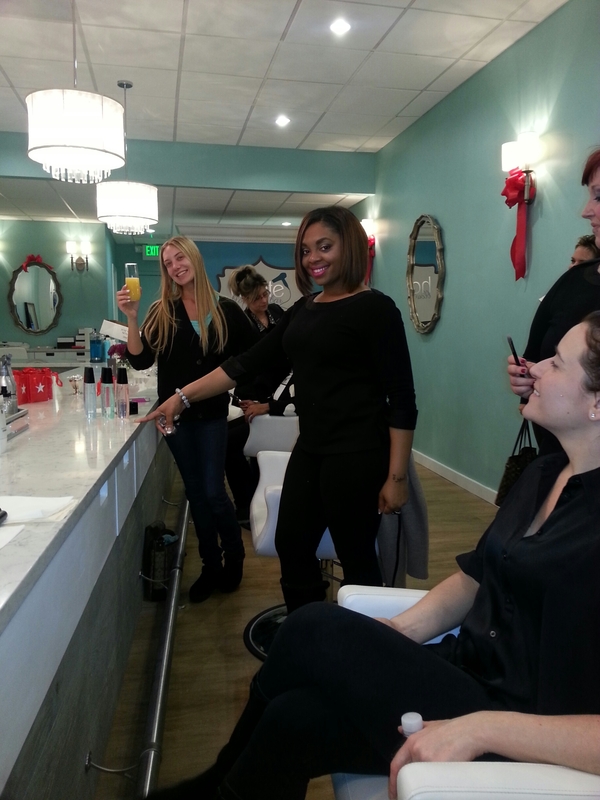 For Dolls without a Haute Blow Dry Bar in your city, try Dry Bar, with locations in Arizona, California, D.C., Georgia, Illinois, Massachusetts, New York, and Texas. 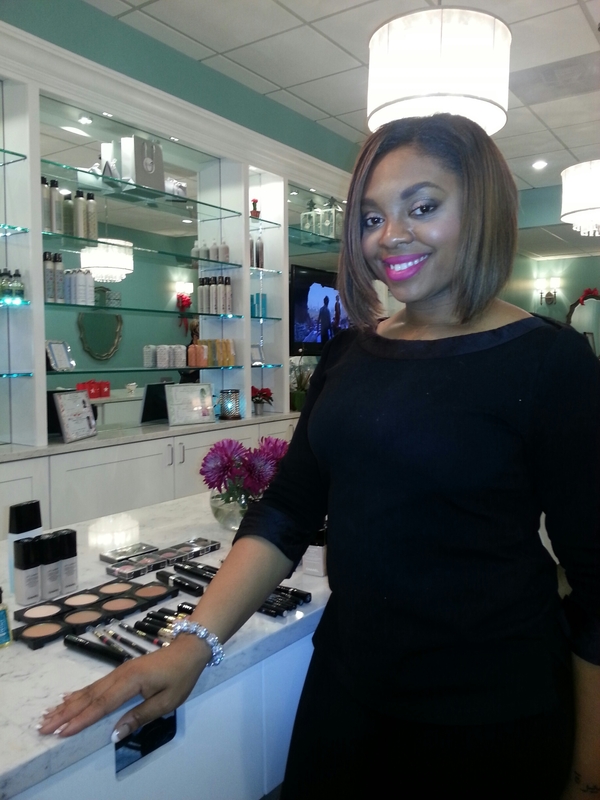 « Countdown to Cyber Monday … The Beauty & Style Edition. Absolutely! I saw all kinds of textures!